While working with a fellow dog trainer in Connecticut we talked about how most inappropriate behaviors from dogs tend to go back to some sort of anxiety. Dogs that are skittish or aggressive toward other dogs or maybe new people aren’t vicious beasts…they most likely were not properly socialized and their “fight” (rather than “flight”) instinct is kicking in when they get anxious or scared. A dog that is tearing up your shoes or furniture are most likely acting out because they are experiencing severe anxiety and boredom. Our Boston in-home dog training programs are designed to tackle these inappropriate behaviors, and for some cases, prevent them from manifesting in the first place. Some people think training is just about teaching the dog to “Sit” or to not potty inside the home. Training is more about teaching your dog what your expectations are as the owner and pack leader. It’s also about helping owners enforce boundaries, while also setting their dogs up for success. Keep your dog’s mind working and stimulated to prevent behavior problems! When a dog understands what is expected of them, then they have very little to be worried about, especially when they exceed their owner’s expectations and are rewarded for their good behaviors. Training builds confidence in a dog, not tear it down. Training is also about mentally stimulating the dog, which every dog needs, no matter what breed they are or what behavior issues they might be experiencing. Mental stimulation keeps dogs alert, rather than sitting around, being bored and developing anxiety. Mental stimulation paired with regular physical exercise for a dog will help them stay consistently behaved and happy, avoiding any behaviors that might be anxiety-driven. Mental stimulation can be achieved outside of training…playing games with your dog can be great mental stimulation. 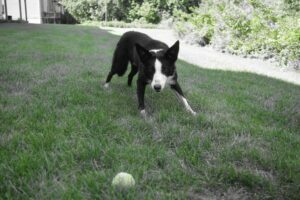 Even games like Fetch not only make the dog physically active, but it keeps them mentally engaged. You could also do some agility training or basic nose work training, which forces the dog to be totally focused. In our in-home dog training programs for all behaviors, we always include focus-building exercises in our curriculum, as it gives dogs mental stimulation to calm them and give them a positive task to accomplish. It also increases the responsiveness to their owner’s command, cementing the leadership and the bond between owner and dog. Training doesn’t need to be something “harsh” or “mean” that you make your dog go through. It can be a fulfilling thing for both owner and dog. Owners will learn how to teach their dog how to behave and be happy, and dogs will bask in their behavioral success, while also being mentally exercised rather than bored, anxious, or nervous. If your dog can use some training and mental stimulation, give us a call at 800-649-7297. 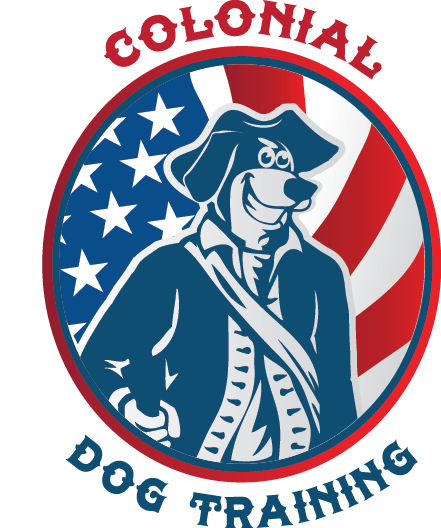 All our in-home dog training programs will keep your dog mentally alert and work toward achieving your training goals for your dog!